A country is about to start investing in bitcoin as a reserve asset of strategic value and if so, will Russia do it first? or will Russia kill the bear market? this is an unlooked-for event that many people were waiting for, seeing the state leaders who acquire bitcoin as a strategic asset. Now I want to stimulate the thinking of everyone about the idea that this may happen, even if this news is only speculative, or a way to create fomo, fear of losing it, in the market I also think that nothing can be discarded. And if this happens, it would put Fidelity investments, The Vanguard Group which has been delayed for some time and also indefinitely, and also the possible Bitcoin ETF, that is, it would put all that in the background, when it comes to a catalyst for a bullish real. And those financial products that want to enter the Bitcoin market will be good and interesting for the market. But this news about Russia planning to replace the American dollar with Bitcoin, is really great news. According to Vladislav Ginko who is a professor at the presidential academy of Russia of national economy and public administration of Moscow, he is the one who anticipates that the new sanctions of the United States will force Kremlin to diversify its cash reserves in Bitcoin. 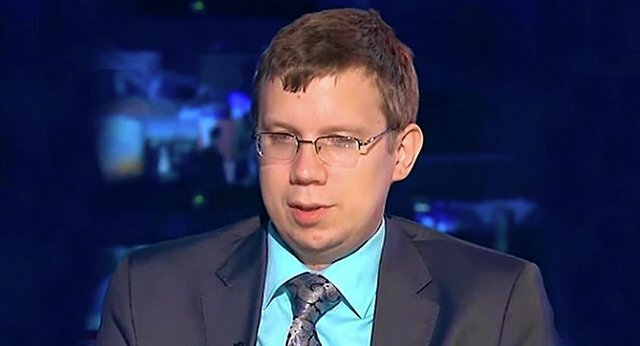 Mr. Ginko has had ties with the government for more than 20 years, said that the state is recently appearing on state television and Russian radio, offering economic comments and saying that a large part of his work has recently been to persuade officials Russians That Bitcoin is the best way to mitigate the impact of new sanctions in Russia, and if this happens it could be huge. 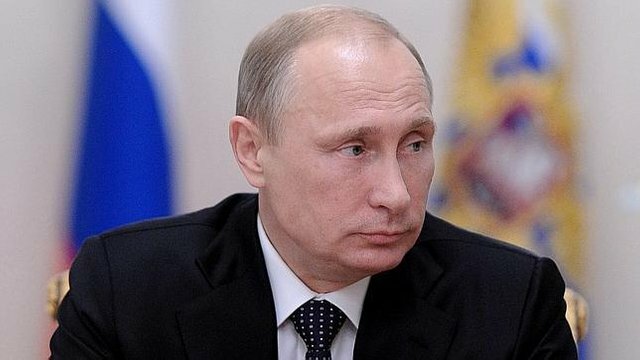 United States sanctions may be mitigate only through Bitcoin US sanctions, Russia's elite is forced to dump US assets and US dollars and invest hugely into Bitcoins. The central bank of Russia sits on $ 466 billions of reserves and has to diversify in case there are limited opportunities to do it in the future. I think we should be aware when listening to this information from someone who says what he thinks might happen when the president comes out and says something about it, or when the Russian finance ministry arrives and says yes to this initiative, then we can believe this news one hundred percent. But the clearest thing is that an important Russian economist who is currently working behind the scenes, trying to make this happen. Now they are speculating that it could happen soon, and this may be for the month of February. But I think that the fact that a state leader enters the world of crypto coins is something that sooner or later will be inebitable, and when it happens it will push the market to new extremes. I think that if a country is really going to start adopting bitcoin as a percentage of its strategic reserves, Russia may be the prime candidate. 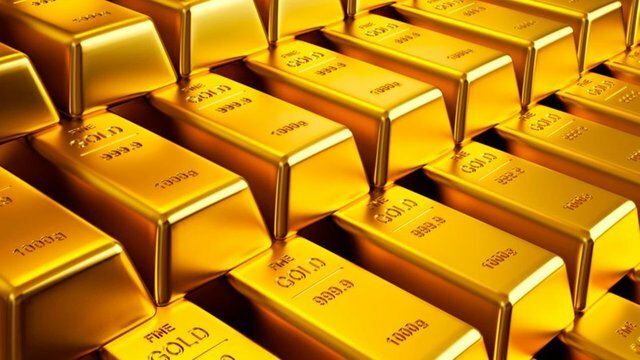 Russia has been dramatically increasing the gold that they have been buying, in the last months of 2018 Russia bought 3,800 million dollars in gold, 92 tons of gold, which reached a total of gold reserves in Russia of 2066 tons or approximately 85 billion dollars in gold. Russia is progressively moving away from the dollar, and the dollars have been moving away from Russia, and the United States has been very antagonistic with Russia so it is not surprising that they did not want to use the currency of a country that is so continually sick to them. Kremlin of course fears that the sanctions of the United States will end up freezing part of the country's international reserves, which would be a terrible situation for Russia, and as you can see, the sanctions and economic levers continue against Russia. So this probably can not be a bad idea to explore new alternatives. Currently the Russian central bank has a reserve of 466 billion dollars in gold and assets in foreign currency, so to see them diversify into Bitcoin could be very interesting. @edgarare1 has set 2.000 STEEM bounty on this post! With the disagreement on using the US dollar as the medium of exchange Russia and China and even other countries not really US friendly can now use crypto as a sovereign medium for exchange and Bitcoin is ideal for this. I think it would be smart of countries to diversify reserves too and hold some crypto which could lend some stability and resistance level to the market. the future is now, if each country decides to make a bitcoin reserve as one of its main currencies then the world would change, international business would be better and we would all know of every transaction made in the blockchain. Thanks a lot for taking a time to visit my post...!!! 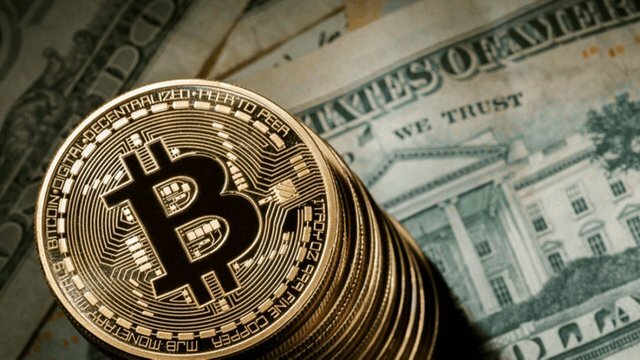 Actually , Bitcoin can act as good currency for trading between 2 countries without having USD or having dependence on any other country currency. It will act as neutral currency. But only concern is , increase in BTC fees should not make transaction fees exorbitant. It's true what you say, and I agree with you @r1s2g3 . But think in this way, if a country is already determined to invest in Bitcoin, there would be no problem to invest in this. No matter the cost, low or high. This will benefit many, and all of us who expect a change in the current financial system. Thanks a lot for visiting my post and for your great comment...!!! I don't think the fess will matter much when Government transfer come into play @r1s2g3. It will be a welcome mode of transfer for them as it removes their peg from the USD at the same time being tremendously fast, efficient and transparent. My personal speculation is: it just hyping the issue. It may even true that they already mining bitcoin and other cryptos, and that they are in the process of developing its own crypto assets. By makings news like these, the bitcoin price tends to appreciate, if it falls, they can buy cheaper coins and raise the hashrate does mine more cryptos. It is still in their favor. A government is a different beast to handle, unpredictable and powerful. Keep your ordinary crypto behavior, DO NOT panic sell or buy in bulk just because of this news. Keep your pace normal. Either way, we are still heading to a bull market sooner or later. I think this news is pure speculation. 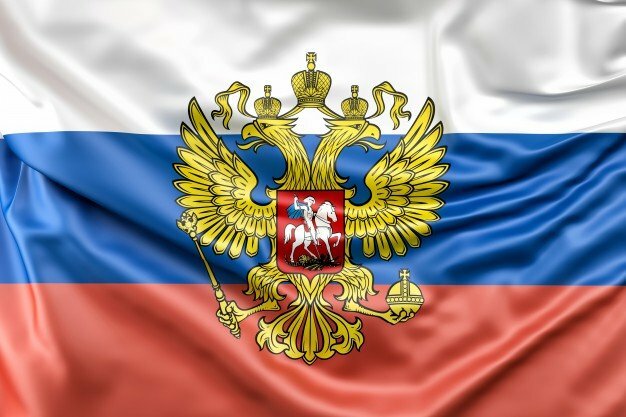 It is not the first time we hear news about Russia buying cryptocurrencies or making their own. There were rumors about Russia investing in Ethereum during 2017 and it finally did not happen. However, just the rumor, if it does extend enough, may rise the price of Bitcoin by itself in short term. Yeah, that´s right @ropoga .... But as you know...!!! If they are going to invest in Bitcoin I think the last thing they would do would be to announce it publicly beforehand. As this would cause a price rise so they'd have to pay more for it. They'd just do it as discretely as possible and then announce it. That way they'd enjoy big gains on it. Everything you have said is correct, but this does not matter if the price of the bitcoin goes up or down, what matters is that it will be strengthened more when a whole country decides to invest in bitcoin. Thanks a lot for your great comment..!!! Yes, I agree with you on that point too. But each country is free to invest in the currency they wish to adopt for their country. Now we are about to see something different with this country, and if they manage to do it, there will be really extraordinary changes for everyone. Thanks a lot for visit the post ..!!! Hi buddy, I read a similar article some days ago but I was later convinced that it's just hype. I know Russia is interested in Crypto but then it's a tough one to go all in on Bitcoin. But bitcoin does not mean that Russia is interested in buying the bitcoin currency, this only represents the currencies in general, and possibly Russia is interested in investing in the blockchain system in general. That´s another point of view...!!! There was a lot of hype around this topic when it came in the news that Russia is planning to pour in astronomical amounts of money into this space. But correct me if I am wrong, didn't we also receive​ a press statement from the Government that this is just a rumor and nothing else? And we are still waiting for Russia to announce that this is completely true ... !!! I am all for the mainstreaming of crypto in general. I did know one thing about it until I got to STEEM 1.5 years ago. to see them diversify into Bitcoin could be very interesting. I do not know much about crypto other than STEEM yet, but I use LTC to move money from STEEM to fiat. It is cheaper and faster than BTC by far. I'm thinking that BTC is the dinosaur, and that other coins will take over. Sort of like how IBM led the way but Apple and Microsoft ended up being the winners of the personal computer game. I am also in SE Asia now, and there is a lot of talk about the Chinese and other Asian governments coming in too. I welcome them all and hope they get here soon! Thanks a lot for visit my post ...!!! We should also keep in mind that Russia has lots of experts in Math, Cyber Security and Cryptography due to their education system. I still do't think Russia would make a sudden and immediate venture into BTC as the network is completely unable to handle scaling properly. It would end up being another coin that is more scalable. They might also be thinking about stability of the coin. Individual investors on the other hand may start slowly putting in their money. Some time ago I saw an article about even Russian criminals getting into crypto mining. So there are undoubtedly good signs. In fact Russia is very well equipped, they just need to make a decision ..
article about even Russian criminals getting into crypto mining. Thanks a lot for visit the post..!!! It is evident to us who love the crypto world that this is the only way to go. Crypto is the now and the future. Then it is to be expected that at some point the business managers of the nations will turn their finances around the crypto. Will Russia be the first to do it? It will only be a speculative news? The truth is that trde or early, this will happen. And it would be the oxygen needed for bitcoin and all cryptocurrencies in general to recover their upward trend. Let's wait to see how the events unfold. The changes would be impressive to know that a whole country invested only in cryptos to strengthen more their reserves, without using another currency, and it would be a country as an example to follow with a trend of change that other countries can adopt to grow. Many Countries will have to see the future that they will have investing in crypto. Crypto is the now and the future. I wonder what the world will be like in a few years when everyone uses only our main currency? crypto...!! Few years? I think we need our entire generation to die first and we will be replaced by new one, who will really look down at us like we're an idiots and who will grow up with crypto being part of life. We're still far away from such a mass adoption. Yeah, you´re completely right @crypto.piotr ...!!! Next generation will be immerse into the blockchain..!!! It sounds really amazing...!!! Thanks a lot for incredible support @arcange ...!! !